Many of us find it easier to believe in God rather than to believe Him. 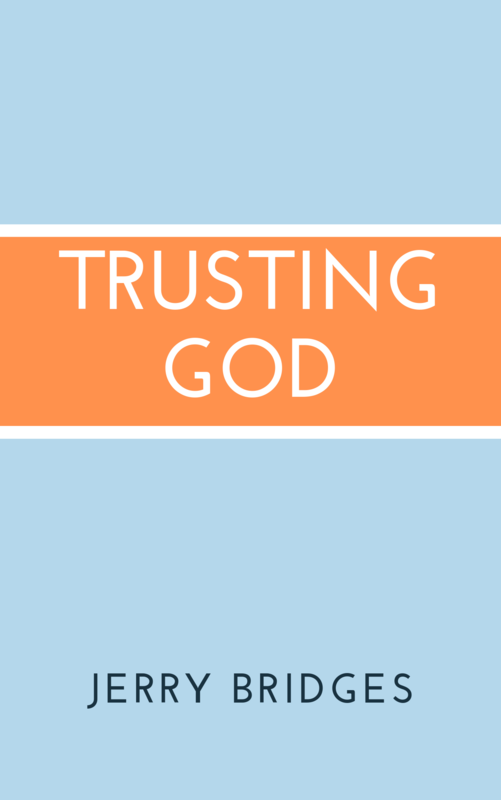 Further, many of us find it easier to obey God than to trust Him. The trials and afflictions of life surround and overwhelm us. Where is God in all of this? How do we make sense of the pain and suffering that accompanies us in these dark times? 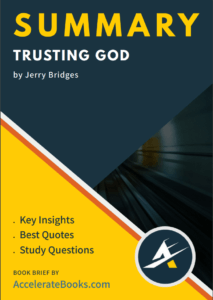 Jerry Bridges, in Trusting God, shares with us the fruit of his study on the sovereignty of God during a time of great adversity. In this book, he explores the power of God over nations, nature, and even in the minute details of our everyday lives. In the process, readers will come to see that we can trust God completely, even when life hurts. Two things are certain: God works through adversity for our good and for His own glory. There is purpose to our pain and nothing happens without His loving hand to guide us through it all. Jerry Bridges (1929-2016) was a well-known Christian writer and speaker. Born in Tyler Texas, he authored more than a dozen books including The Pursuit of Holiness which sold more than a million copies. His devotional Holiness Day By Day garnered the 2009 ECPA Christian Book Award for the inspiration and gift category, and The Discipline of Grace received a similar award in 1995 for the Christian living category. After earning his undergraduate degree in engineering from the University of Oklahoma, he served as an officer in the Navy during the Korean War. From there he joined the Navigators, a Christian discipleship organization in 1995, where he served in various offices. Jerry Bridges continues to instruct and encourage many through his writings even after his death on March 16, 2016.